The two-time defending champion Golden State Warriors will soon get even more talented on the court. Former All-Star big man DeMarcus Cousins, who signed a one-year deal with the Warriors during the offseason, is moving closer and closer toward making his debut with the defending champs. We've seen the videos of him working out prior to games and at practice, and even watched him put Kevin Durant on a poster. Now, Warriors head coach Steve Kerr has said that Cousins went through a full practice on Wednesday. Cousins went through all of Wednesday’s practice. Kerr spoke to him for a few minutes after practice. Kerr says the big man still has to get his conditioning up. It remains unclear when Cousins will return. They want him to feel comfortable on the floor again. It's important to note the Kerr said there was no live action, and he doesn't have an update on Cousins' timeline. "It was a good practice," Kerr said. "We went through a lot of stuff on the court. No live action, but some offensive conceptual stuff, tape. We had a good day this morning." Still, going through a full practice with the team seems like an important milestone for Cousins -- who hasn't played in an NBA game in nearly a full calendar year -- to reach. All along, the Warriors, back in action on Thursday against the Rockets (10:30 p.m. ET -- watch on fuboTV with the NBA League Pass extension), have targeted sometime in January or possibly even February for Cousins to return, so he appears to be right on schedule. Of course, we don't know exactly what he'll look like once he comes back. As we've seen with Gordon Hayward, missing that much time leaves one pretty rusty. Plus, an Achilles tear is one of the most serious injuries a player can suffer. 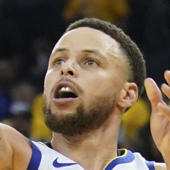 But however he plays once he finally gets on the court, there's no doubt that he'll add a unique dimension to this Warriors team and make their run for a three-peat far more interesting.